Every once in a while a cake order comes along that is so epic, we can’t help but out-do ourselves. That’s definitely what happened when we got a call from the wonderful people at Irrational Games. 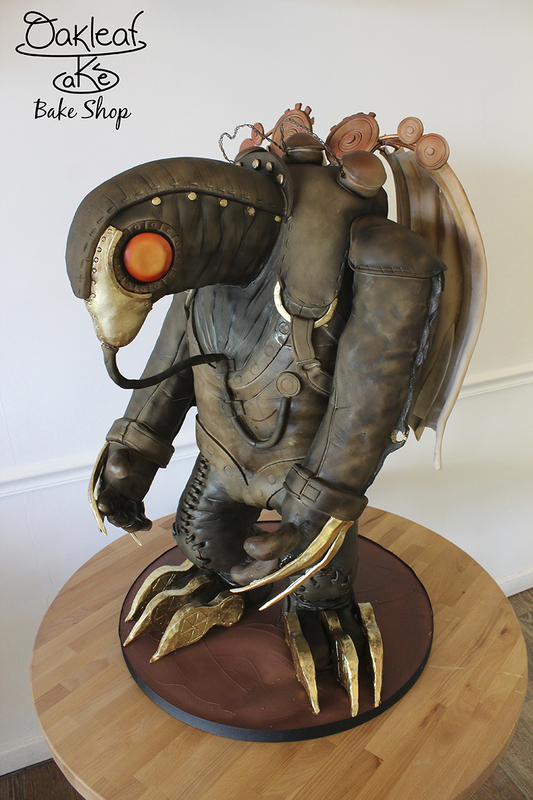 Their hit video game Bioshock Infinite has done pretty well for them this year, winning them over 100 awards, and to celebrate a job well done they decided to get this cake for their amazingly talented staff of hit-video-game-making-wizards. The cake was about three feet tall, served their entire crew of 100, and took about three sleepless nights to pull off. It’s all cake, sugar, and good stuff, and it was delicious. Check out the imgur album below to see the cake being built, completed, and devoured!